Andrea Prat is Richard Paul Richman Professor of Business at Columbia Business School and Professor of Economics at the Department of Economics, Columbia University. After receiving his PhD in Economics from Stanford University in 1997, he taught at Tilburg University and the London School of Economics. Professor Prat’s work focuses on organizational economics and political economy. His current research explores – through theoretical modelling, field experiments, and data analysis – issues related to incentive provision, firm structure, and communication modes. Professor Prat is a principal investigator of the Executive Time Use Project. He is the author of numerous articles on leading journals in economics and finance including the American Economic Review, Econometrica, the Journal of Finance, the Quarterly Journal of Economics, the Review of Economic Studies, and the Review of Financial Studies. He served as Chairman and Managing Editor of of the Review of Economic Studies. He is an Associate Editor of Theoretical Economics and a director of the Industrial Organization program of CEPR. 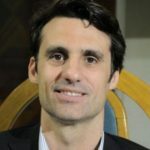 Professor Prat was elected a Fellow of the British Academy in 2011 and a Fellow of the Econometric Society in 2013.